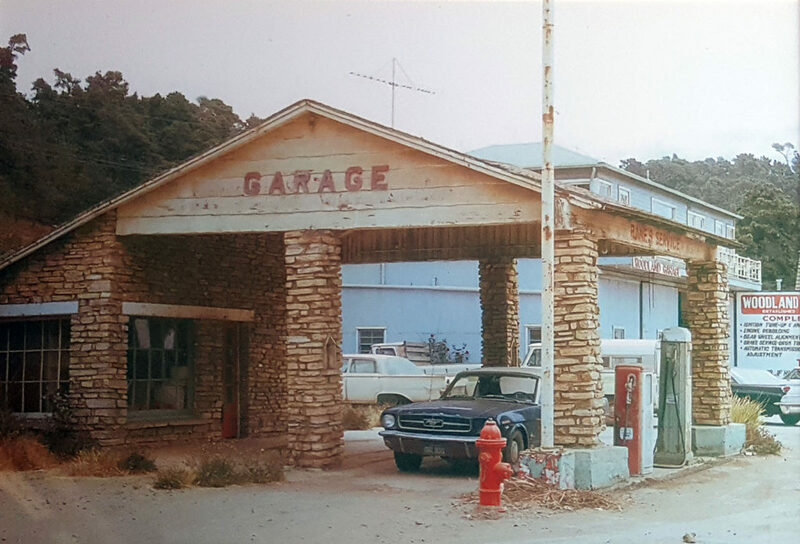 Old Stone Station was a gas station built in 1931 by Clyde and Myrtle Van Scoy. A garage was later added on in 1934. 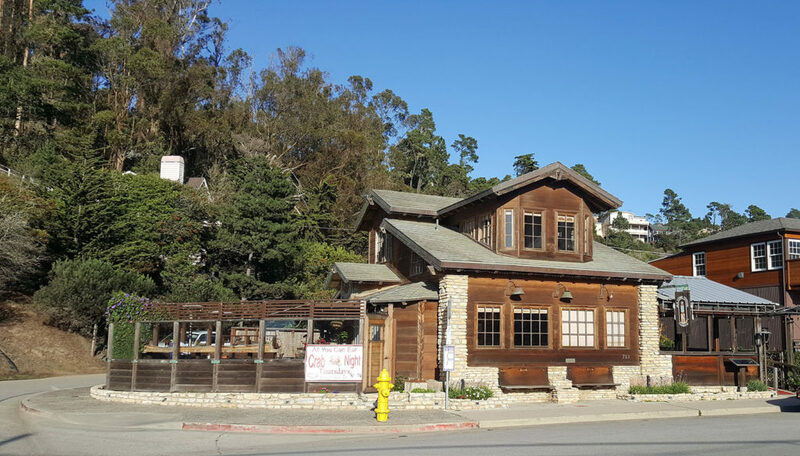 In 1945 new owners Curtis (Woody) and Hazel Woodland purchased the property with a help from Rudolph Hearst who Woody called a prince of a guy. Woody was the Hearst’s family mechanic and serviced all the limousines. He would also sometimes babysit Bunky and drive the family around when needed (and maybe a few drunk actors as well). The gas station was managed by “Red” until the late 1940s. The garage and station was given to Miley Fairey when her Step Dad Woody died. Some say Woody still haunts the place. Her husband ran the station and garage until his death, when she then moved into the garage and sold antiques until 2012. It now been purchased and is being restored. Part of the old garage now houses Painted Sky, a famous recording studio. 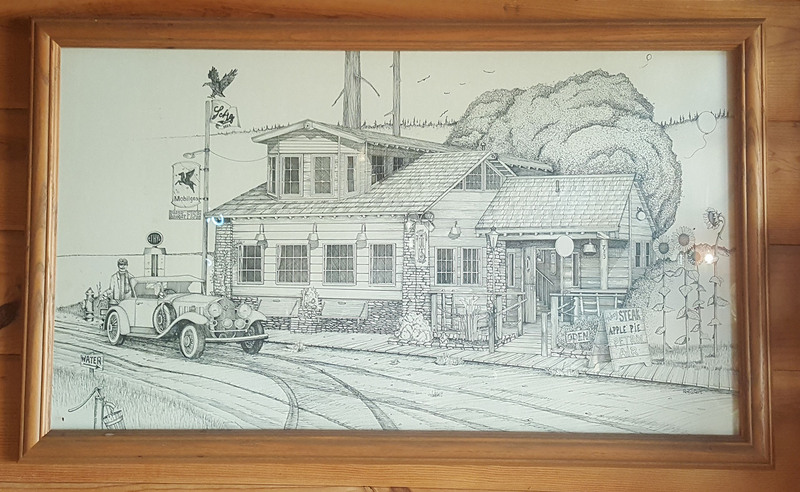 The gas station was sold in 1993 to Ray Done who, with his stepson Carl Vanicky, completely remodeled the gas station and created the restaurant Old Stone Station. Ray passed away and Carl took over the ownership of the restaurant. Old Stone Station is an American Tavern and is were the locals eat! With Two Pet Friendly outdoor patios!